Professor Ashraf Salama has published a considerable number of papers in international and regional academic journals including those in major international databases and index bases including Elsevier, Avery, Design and Applied Arts Citation Index, Archnet@MIT, Scopus, Thompson Scientific ISI, and the Directory of Open Access Journals - DOAJ. 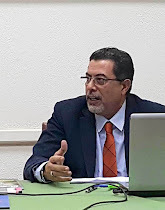 Van Riel, K. and Salama, A. M. (2019). Using Auto-Photography to Explore Young People's Belonging and Exclusion in Urban Spaces in Accra, Ghana. Open House International, Volume 44, Issue 1, PP. 62-70. ISSN # 0160-2601. MacLean, L. A. and Salama, A. M. (2019). Towards a Context Specific and Multidimensional Quality of Urban Life Model. Open House International, Volume 44, Issue 1, PP. 25-33. ISSN # 0160-2601. Salama, A. M., and Remali, A. M. (2018). Urban Traditions in the Midst of the Chinatown of Liverpool and the Quasi-Enclave of Glasgow. Traditional Dwellings and Settlements Review - Working Paper Series, Volume 292, (1). ISSN # 1050-2092. Harrington, S., Dimitrijevic, B., and Salama, A. M. (2018). Cracks and Light: Observing the Resilience of the History Museum of Bosnia and Herzegovina. Martor: The Museum of the Romanian Peasant Anthropology Review, 23, PP. 143-161. Salama, A. M. and Wiedmann, F. (2016). Perceiving Urban Liveability in an Emerging Migrant City. Urban Design and Planning. 169(6), PP. 268–278. ISSN # 1755-0793 http://dx.doi.org/10.1680/jurdp.15.00034 . Wiedmann, F., Salama, A. M., and Ibrahim, H. I (2016). The Role of Mega Projects in Redefining Housing Development in Gulf Cities. Open House International, Volume 41, Issue 2, PP. 56-63. ISSN # 0160-2601. Salama, A. M. (2013). Manufacturing the Image of Doha: From the Public Face of Architecture to the Printed Media, Open House International, Volume 38, Issue 4, PP. 6-15. ISSN # 0160-2601. Mirincheva, V.; Wiedmann, F.; Salama, A. M. (2013). The Spatial Development Potentials of Business Districts in Doha: The Case of the West Bay, Open House International, Volume 38, Issue 4, PP. 16-26. ISSN # 0160-2601. Wiedmann, F.; Mirincheva, V.; Salama, A. M. (2013). Urban Reconfiguration and Revitalization: Public Mega Projects in Doha’s Historic Center, Open House International, Volume 38, Issue 4, PP. 27-36. ISSN # 0160-2601. Salama, A. M.; Khalfani, F.; Al-Maimani, A. (2013). Experiential Assessment of Urban Open Spaces in Doha, Open House International, Volume 38, Issue 4, PP. 47-57. ISSN # 0160-2601. Salama, A. M. and Wiedmann, F. (2013). The Production of Urban Qualities in the Emerging City of Doha: Urban Space Diversity as a Case for Investigating the ‘Lived Space, Archnet-IJAR–International Journal of Architectural Research, Volume 7, Issue 2, PP. 160-172. ISSN # 1938 7806. Wiedmann, F. and Salama, A. M. (2013). From Pre-Oil Settlement to Post-Oil Hub: The Urban Transformation of Doha, Archnet-IJAR–International Journal of Architectural Research, Volume 7, Issue 2, PP. 146-159. ISSN # 1938 7806. Salama, A. M. and Courtney, L. (2013). The Impact of the Spatial Qualities of the Workplace on Architects’ Job Satisfaction, Archnet-IJAR–International Journal of Architectural Research, Volume 7, Issue 1, PP. 52-64. ISSN # 1938 7806. Salama, A. M. and Gharib, R.Y. (2012). A Perceptual Approach for Investigating Urban Space Diversity in the City of Doha, Open House International, Volume 37, Issue 2, PP.24- 32. ISSN # 0160-2601. Wiedmann, F.; Salama, A. M.; and Thierstein (2012). Urban Evolution of the City of Doha: An Investigation into the Impact of Economic Transformations on Urban Structures, METU Journal of the Faculty of Architecture, Volume 29, Issue 2, PP. 35-61. ISSN # 0258-5316. Wiedmann, F.; Salama, A. M.; and Thierstein, A. (2012). 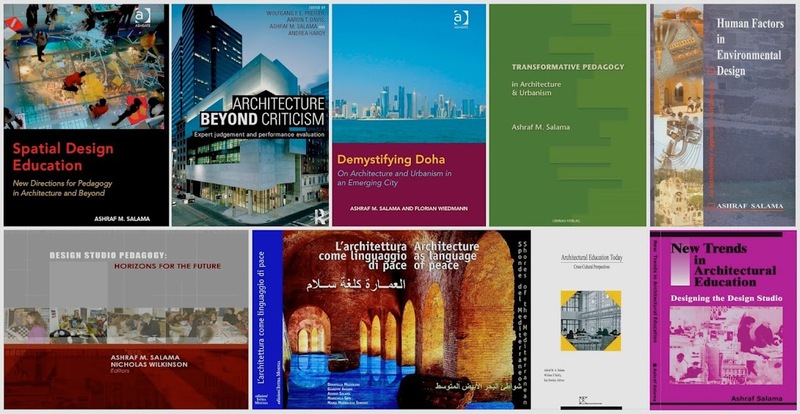 A Framework for Investigating Urban Qualities in Emerging Knowledge Economies: The Case of Doha, Archnet-IJAR–International Journal of Architectural Research, Volume 6, Issue 1, PP. 42-56. ISSN # 1938 7806. Salama, A. M. (2011). Trans-disciplinary Knowledge for Affordable Housing, Open House International, Volume 36, Issue 3, PP. 7-15. ISSN # 0160-2601. Salama, A. M. (2009). The Users in Mind: Utilizing Henry Sanoff's Methods in Investigating the Learning Environment, Open House International, Volume 34, Issue 1, PP. 35- 44. ISSN # 0160-2601. Salama, A. M. (2009). Design Intentions and Users Responses: Assessing Outdoor Spaces of Qatar University Campus, Open House International, Volume 34, Issue 1, PP. 82-93. ISSN # 0160-2601. Salama, A. M. (2008). When Good Design Intentions DoNot Meet Users Expectations, Archnet-IJAR – International Journal of Architectural Research, Volume 2, Issue 2. 57-77. ISSN # 1938 7806. Salama, A. M. (2008). Media Coverage and Users’ Reactions: Al Azhar Park in the Midst of Criticism and Post Occupancy Evaluation, METU Journal of the Faculty of Architecture, Volume 25, Issue 1, PP. 105-125. ISSN # 0258-5316. Salama, A. M. (2007). 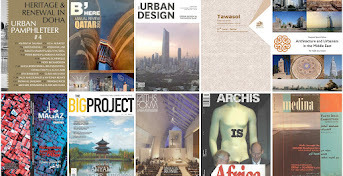 A Charette Process for Designing a Sustainable Tourist Facility: The Case of Al Qula'an, Red Sea, Open House International, Volume 32, Issue 4, Urban International Press, United Kingdom, PP. 54-63. ISSN # 0160-2601. Salama, A. M. (2007). Mediterranean Visual Messages:The Conundrum of Identity, ISMS, and Meaning in Contemporary Egyptian Architecture, Archnet-IJAR- International Journal of Architectural Research, Volume 1, Issue 1, PP. 86- 104. ISSN # 1938 7806. Salama, A. M. (2006). Learning from the Environment: Evaluation Research and Experience based Architectural Pedagogy, Journal of the Center for Education in the Built Environment, CEBE Transactions, Volume 3, Issue 1, PP. 64-83. ISSN # 1745-0322. Salama, A. M. and Alshuwikhat, H. (2006). A Trans-Disciplinary Approach for a Comprehensive Understanding of Sustainable Affordable Housing, Global Built Environment Review-GBER, Volume 5, Issue 3, PP. 35-50. ISSN # 1474-6824. Salama, A. M. (2006). A Typological Perspective: The Impact of Cultural Paradigmatic Shifts on the Evolution of Courtyard Houses in Cairo, METU Journal of the Faculty of Architecture, Volume 23, Issue 1, PP. 41-58. ISSN # 0258-5316. Salama, A. M. (2006). 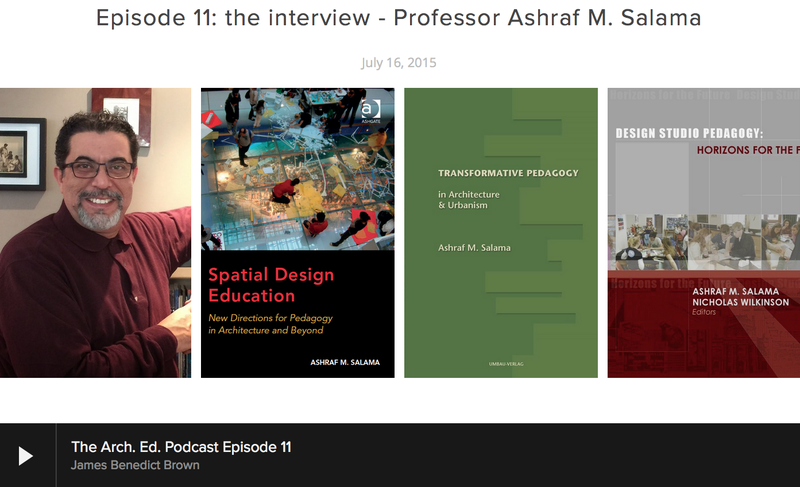 A Lifestyle Theories Approach for Affordable Housing Research in Saudi Arabia. Emirates Journal for Engineering Research-EJER, Volume 11, Issue 1, PP. 67-76. ISSN # 1022-9892. Salama, A. M. (2005). PLADEW: A Tool for Teachers Awareness of School Building Sustainability: The Case of Carmel School, Mathews, North Carolina, Global Built Environment Review-GBER, Volume 5, Issue 1, PP. 45-56. ISSN # 1474-6824. Salama, A. M. and Adams, W. G. (2004). Programming for Sustainable Building Design: Addressing Sustainability in a Project Delivery Process, Journal of Applied Psychology, Volume 6, Issues 3/4, PP. 178-187. ISSN # 1454-8062. Salama, A. M. and Adams, W. G. (2003). Sustainable Learning Environments: Rethinking the Missing Dimensions, Al Azhar University Engineering Journal - AUEJ, Volume 7, Special Issue, AUEJ, College of Engineering, Al Azhar University, Cairo, Egypt. ISSN # 1110-6406. Adams, W. G. and Salama, A. M. (2003). Comprehensive Pre-design Studies of Workplaces: The Case of the Twin Cities, Minnesota, Al Azhar University Engineering Journal – AUEJ, Volume 7, Special Issue, AUEJ, College of Engineering, Al Azhar University, Cairo, Egypt. ISSN # 1110-6406. Salama, A. M. (2000). Community Participation and the Housing Process: The Case of an Egyptian City, Quseir, Al Azhar University Engineering Journal-AUEJ, Volume 4, Special Issue, AUEJ, College of Engineering, Al Azhar University, Cairo, Egypt. ISSN # 1110-6406. Salama, A. M. (1998). Ecolodges: Meeting the Demand for Sustainable Tourism Development in Egypt, Traditional Dwellings and Settlements, Working Paper Series, Volume 108, IASTE, Center for Environmental Design Research, University of California at Berkeley, Berkeley, California, United States, PP. 45-69. ISSN # 1050-2092.